Torchlight, a photo by davidrobertsphotography on Flickr. As part of the official Opening Ceremony for the Wales Rally GB on Conwy Quay, the town was full of entertainers dressed in medieval costumes. With the High Street being closed to traffic in the evening, the opportunity was taken to hold a Torchlight Parade. It weas very atmospheric and a great success, once again, well done to everyone involved. 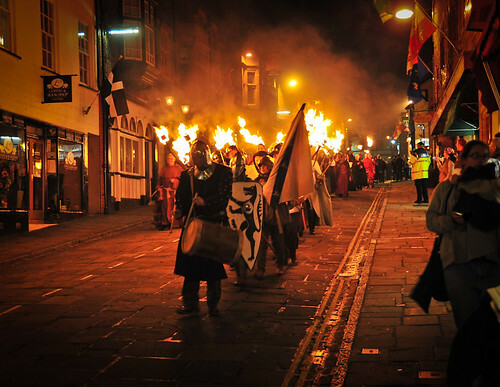 It's wonderful to see the wide variety of successful events held in Conwy town this year.